Killer Characters: Of Moles and Men...and Summer! Of Moles and Men...and Summer! 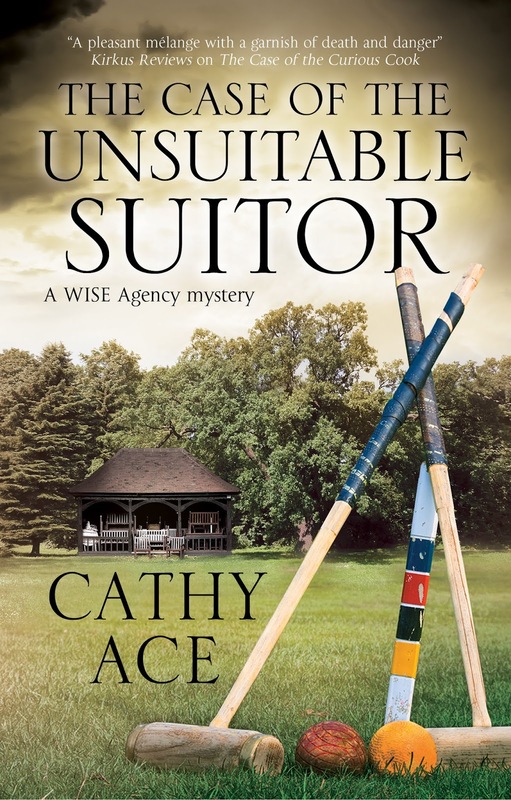 …by Henry Devereaux Twyst, eighteenth duke of Chellingworth, who features in The WISE Enquiries Agency Mysteries written by Cathy Ace. You’d think the moles would want a bit of a rest in August, wouldn’t you? But no – they continue their nefarious work underground even when the soil is rock hard, baked by the summer sun. We’re due to have our annual croquet tournament here at Chellingworth Hall in just a few short days, and there are mole hills all over the place, spoiling the croquet lawn for both teams. The teams? The Anwen Allcomers will be made up of people who live in the village of Anwen-by-Wye, whereas we Chellingworth Champs will comprise those who live at the Hall, or on the Estate of Chellingworth itself. I’ll captain our team, of course. Tudor Evans will lead the village team…for his sins. I don't need to bet on the outcome, as I am certain we shall prevail, and the silver cup will remain on the shelf at Chellingworth Hall, where it's resided in all its splendour for several years. What could possibly go wrong? 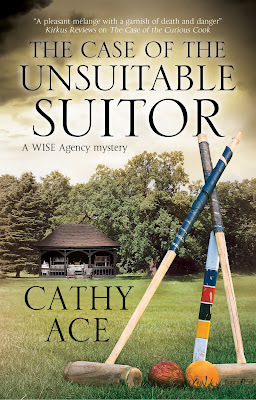 If you'd like to find out how very many things can, and do, go wrong - read THE CASE OF THE UNSUITABLE SUITOR. I'm curious how things go wrong. Moles are horrible aren't they. Wonder if they will play a part in the fun!